turkishkilim has no other items for sale. Hand-knotted Turkish 3'9" x 6'8" Antalya Vintage Wool Rug...DISCOUNTED! Hand-knotted Turkish 3'2" x 9'5" Melis Vintage Wool Rug...DISCOUNTED! 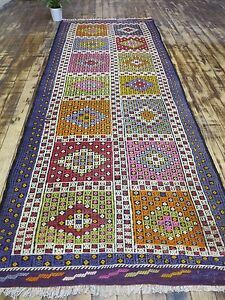 Hand-knotted Turkish 3'1" x 6'5" Melis Vintage Wool Rug...DISCOUNTED! Hand-knotted Turkish 3'3" x 6'6" Melis Vintage Wool Rug...DISCOUNTED!